A commercial auto insurance policy is required under most circumstances when the vehicle is used for business purposes and meets certain additional requirements. It is not just the registration that determines the requirement for a business automobile insurance policy. Other requirements are ownership by a corporation, use in hauling goods for hire and gross vehicle weight. 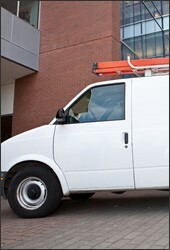 Some small trucks can be owned and insured under a personal automobile insurance policy under specific circumstances. Commercial automobile insurance policies are not regulated in pricing, as private passenger insurance policies are. There is price competition between insurance companies for good commercial automobile insurance. We offer free, comparative quotes on commercial auto insurance from multiple insurance carriers so you can get the best possible rate and the best possible coverage.